Actor Bill Pullman received the Excellence in Acting Award. Earlier today, following the East Coast premiere of THE BALLAD OF LEFTY BROWN, the actor discussed his role as the title character. The GIGANTIC PICTURES’ FEATURE NARRATIVE AWARD went to Bob Byington for INFINITY BABY. Honorable Mention went to Bruce Thierry Cheung for DON'T COME BACK FROM THE MOON. A Special Award for Excellence in Acting by an Ensemble went to SUBMISSION. Jury members included Katherine Dieckmann, Tim Guinee and Lori Singer. The Best Documentary Feature, sponsored by Films We Like, was presented to director Angelos Rallis for SHINGAL, WHERE ARE YOU? In 2014, the Yezidis, a persecuted minority in Iraq, were driven from their ancestral land by ISIS during a campaign of genocide in which more than 3,000 women and children were kidnapped. Caught in raw, sweeping cinematography, SHINGAL, WHERE ARE YOU? weaves together the dramatic stories of the remaining young boys and their families, relegated to an abandoned coal mine on the Turkish border and longing for their lost home. Honorable Mention to director Lillian Lasalle for MY NAME IS PEDRO. Jury members included Lee Hirsch, Wendy Ettinger, and Roger Ross Williams. Best Narrative Short Sponsored by Gigantic Pictures, went to director Laura Beckner for (LE) REBOUND. Honorable Mention went to THE FOSTER PORTFOLIO. Jury members included Janet Grillo and Jonathan Burkhart. Best Student Short Sponsored by Gigantic Pictures, went to director Kevin Wilson, Jr. for MY NEPHEW EMMETT. Honorable Mention went to TV IN THE FISHTAIL. Jury members included M. Blair Breard, Logan Hill, and Isil Bagdadi. 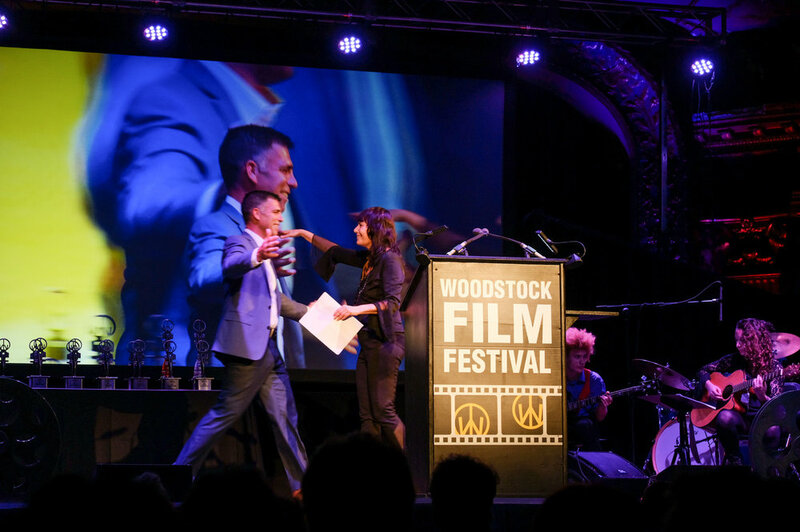 The Woodstock Film Festival Ultra Indie Award, sponsored by Gray, Krauss, Stratford, Sandler, Des Rochers, LLP and Blackmagic Design, was presented to Harris Doran for BEAUTY MARK. Jury members included Philippe Petit, Alex Smith, and Richard Abramowitz. Best Animated Short was Presented to Patrick Smith for PITTARI. Jury members included Joy Buran, Noelle Melody, and Peter Ahern. Best Short Documentary, sponsored by Markertek.com, went to Kyle Morrison for MOTT HAVEN. Honorable mention to Jon Bunning for THE TABLES. Jury members included Jon Greenhalgh, Emily Rothschild, and Cynthia Kane. The Haskell Wexler Award for Best Cinematography, sponsored by Panavision, went to David Kruta for THE SOUNDING. Ellen Kuras served as the juror. "All of these films considered for the cinematography award stand out for the visual stories that they tell and the humanity they touch. In all, there is alive the spirit of independence, the deep desire to tell a story with a singular voice that speaks of our human/animal existence. This is the spirit of our dear late friend and cinematographer Haskell Wexler. It is in his honor that we are giving this award - On behalf of Haskell and his incredible wife Rita Taggart. As you know, it is difficult to single out any work of art. The film selected is a beautifully expressed film in many ways -in particular, the cinematography. The shadow and light in the images played as much a part in telling the story as the acting and the text. Deftly using color palette, texture and a shallow depth of field, the cinematographer imbued the images with a dramatic resonance to the imagery, while the handheld gave the film an engaged, intimate feel. We were drawn in - by the images and by the camera's point of view. Hence the cinematography played an incredibly important part of the story. The James Lyons Editing Award For Narrative Feature, sponsored by Technicolor Postworks NY, was presented to editor Joe Murphy for DON'T COME BACK FROM THE MOON. Jury members included Katharine McQuerrey, Oriana Soddu, and Sabine Hoffman. The James Lyons Editing Award For Documentary Feature, sponsored by Technicolor Postworks NY, was presented to editor Toby Shimin for 32 PILLS: MY SISTER'S SUICIDE. Jury members included Fiona Otway, Melody London, and Sabine Hoffman. The World Cinema Award, presented to Sandra Vannucchi for GIRL IN FLIGHT. The jury would also like to give a special mention to the young actress Lisa Ruth Andreozzi for her breakthrough performance. Jury members included Claude Dal Farra, Maria Govin and Emily Russo. The Carpe Diem Andretta Award, sponsored by The Vincent J. Andretta Memorial Fund and presented to the film that best represents living life to the fullest, was awarded to director Lisa France and subject Gabriel Cordell for ROLL WITH ME. 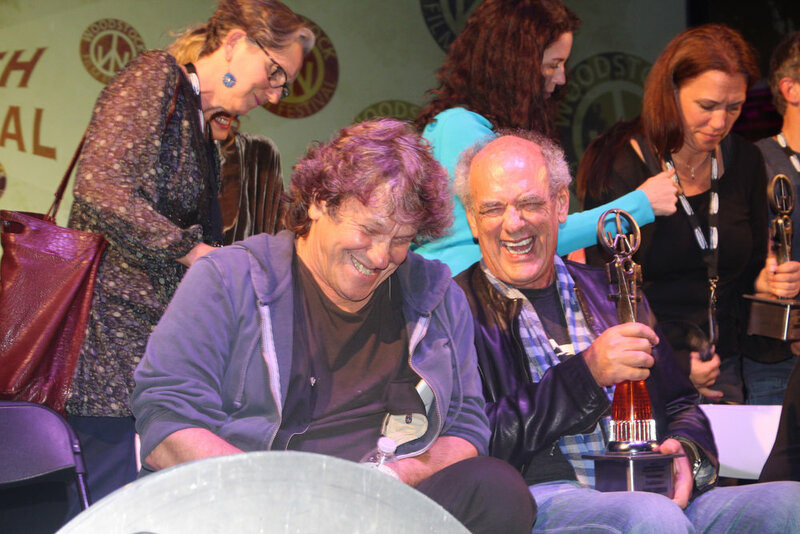 Shep Gordon received the 2017 Trailblazer Award for his work in the independent film, music and culinary entertainment industries. Gordon founded one of the first independent film companies and film distributors Alive Pictures/Island Alive, and has represented musicians and celebrity chefs like Alice Cooper, Luther Vandross, Wolfgang Puck, Emril Lagasse, among many others. Bill Pullman received the 2017 Excellence in Acting Award. 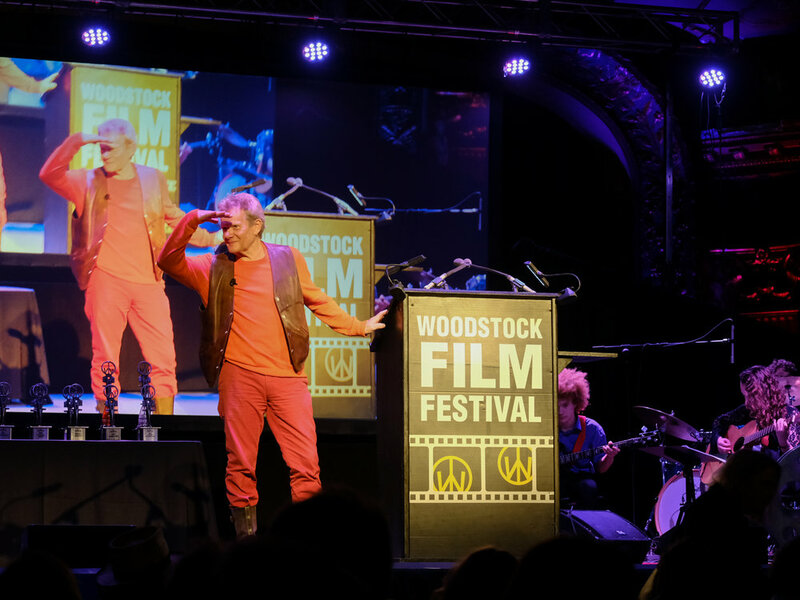 In addition to receiving the award, the Woodstock Film Festival will screen THE BALLAD OF LEFTY BROWN (courtesy of A24) in which Bill Pullman gives a tour de force performance as the title character. Bill Pullman's versatile acting spans from dramatic roles to comedic roles, including A LEAGUE OF THEIR OWN, INDEPENDENCE DAY, RUTHLESS PEOPLE, SLEEPLESS IN SEATTLE, and SPACEBALLS. Festival attendees will also have the opportunity to interact with Pullman at the annual Actor's Dialogue on Sunday, October 15. For more about out wonderful 2017 Sponsors, click below.